Memories that last a lifetime, Redfish that never disappoint. Do me a favor please. Slow down your thinking for a second. Stop worrying about the tasks ahead of you. Stop worrying about your job, your obligations at home, your social media news feed. Stop thinking about all of that just for a few seconds. Now. Picture yourself on a boat. Not just any boat, but a nice, clean bay boat with plenty of room. 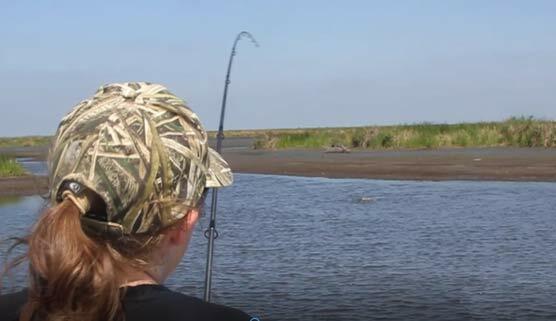 You are out in the Louisiana marsh on a with a Louisiana charter guide from Louisiana Fishing Charters. Your best friends or your family is with you. They are smiling. In front of you the sun is rising over the tall marsh grass and the whole scene is resemblant of something from the African sahara, only in this sahara there is plenty of water to go around. Just as you are taking a deep breath to appreciate the beauty of this scene, the fishing rod in your hand bends over as if the top end is going to go straight in the water. On the other end of your line, a mighty redfish is fighting for his life. He’s strong and mean and doesn’t want you to win the fight. The folks around you are also experiencing the same thing. Your captain is coaching you through this experience and everyone on the boat is grinning ear to ear. After a fun fight, you see your captain reach for his net. He dips it into the water and scoops up the biggest, bronziest Louisiana redfish you have ever seen. He lugs the big red into the boat and in that moment you feel complete. You thank your redfish guide Louisiana style with a high five and that beautiful redfish goes in the ice box for you to take home and enjoy at your dinner table. Excuse my poetic license, but here at Louisiana Fishing Charters, this is an everyday occurrence. The thing about it is, we never stop appreciating scenes like this. That’s why we became charter captains. We love this stuff and the places we fish. We don’t ever take that for granted. And truly, seeing our clients experience this for the first time, or having them come back to experience this again, keeps it fresh for us and that’s why we do this. 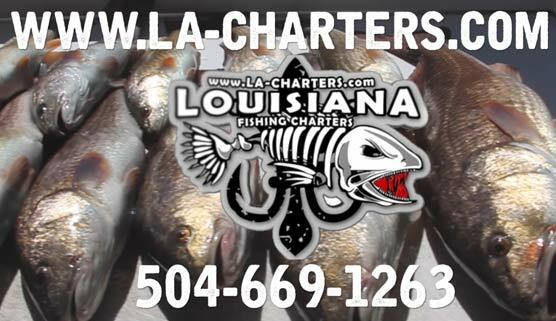 If you’re coming to New Orleans red fishing is just a phone call away. Give us a call and let us take you on the fishing trip of a lifetime.